If you’re wondering what the fuss about LED lighting is, then you should read on to find out more about the benefits and advantages of this lighting revolution. This is the biggest advantage, especially when you think about old-style bulbs and even halogens. You can expect at least 35,000 hours of operation, with some diodes offering up to 100,000 hours – 11 years of constant use! They just don’t burn out or fade suddenly. Many incandescent, fluorescent or halogen bulbs contain potentially toxic and dangerous compounds and elements, like mercury. LEDs have no toxic components and they are also 100% recyclable. They also last longer than 25 incandescents, so think of the material and production savings! They’re resistant to damp, shock, impacts and vibrations, as well as pollution, wind, hail, rain…you get the picture. This makes them ideal for shops, museums and art galleries. LED lights emit hardly any infra-red light either, so they give out very little heat. LEDs come in ropes, as individuals, as groups… They can be dimmed, placed in recesses and made to change colour, offering pretty much unlimited lighting effects and functions. 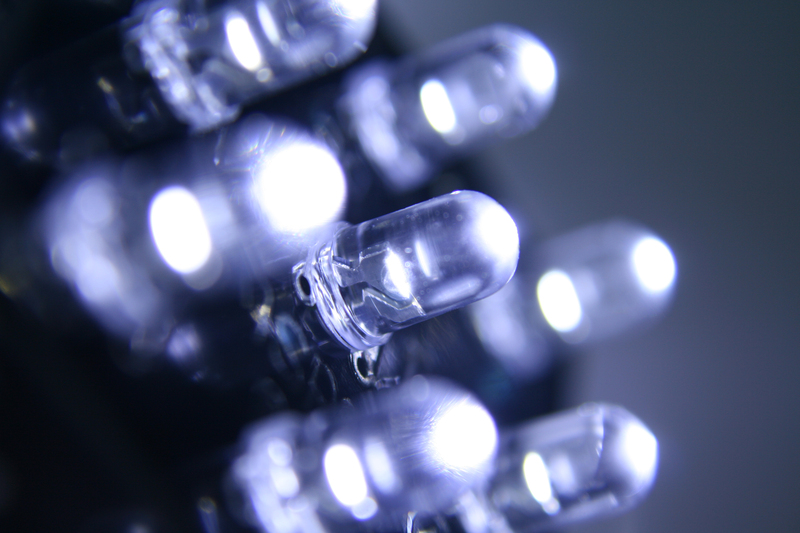 Halogens and incandescents can fail in very low temperatures, but LEDs carry on working, making them suitable for freezer rooms and outdoor applications during winter months. This means that LED lights can be used outdoors, connected to a solar power source or a 12V inverter. This is especially useful in rural or off-grid areas.